Manfreed demonstrates preparing an easy to make, quick, delicious, nutritious, homemade healthy Fettuccine Alfredo with Green Salad and a tasty Lemon Sorbet dessert. You kids, beginning cooks and new cooks can prepare this simple to make, homemade, healthy Fettuccine Alfredo, Salad and dessert. Please join Manfreed every Saturday at 6:00 pm Eastern/3:00 pm in the West of North America free on Manfreed’s web site home page. And please enjoy more delicious, easy to make, healthy sandwich lunch ideas and recipes here on Manfreed’s cooking web page. 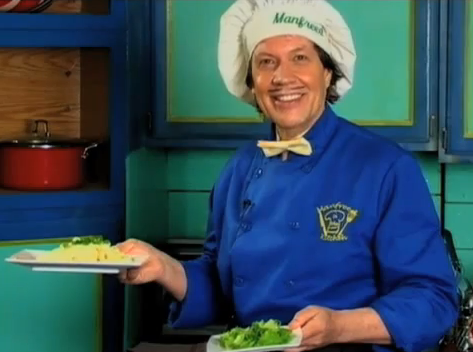 Manfreed demonstrates preparing an easy to make, quick, delicious, nutritious, homemade healthy Fettuccine Alfredo with Green Salad and a tasty Lemon Sorbet dessert.